During the tour, you will visit more than 5 special locations, learn about local An food preparation techniques and try more than 8 dishes. Evening Walking food tour is a great combination between food journey and city discovery. Besides trying many kinds of foods, you will discover the beauty of town from local places to the romantic old city by night. Avoiding the tourist restaurant with their set menu and international dishes, our guides will bring you to eat food nonstop enjoying the journey. The real local foodies will bring you from the local food stalls to some places for food in the middle of nowhere. 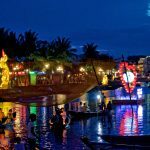 You’ll start with the lovely appetizer- Hoian White Rose, then walking along the small streets and alleys to different food stalls that only known by locals. 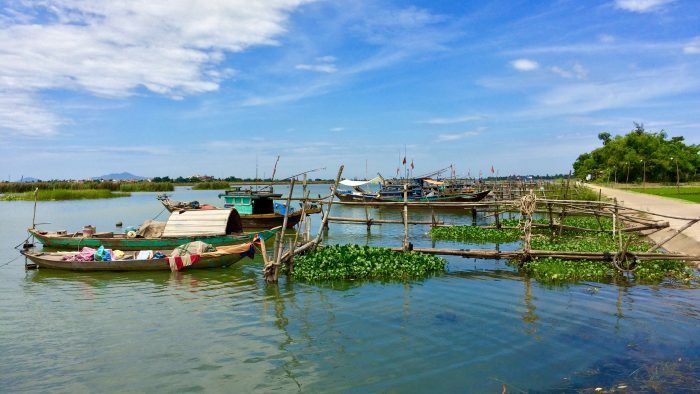 Next, we go to Hoian local market to see the lifestyle, vegetable, and types of foods that the people have daily. This is a great place to taste Cao Lau- HoiAn’s secret noodle and many other food stalls with different kinds of food. Take a rest, sip your coffee and enjoy the time pass by slowly at a local coffee shop is a nice experience during this trip. Afterwards, go to one of the most famous Banh My places and try it. What’s a life! The highlight of this trip is coming to a local family where you can talk directly to local people and try their homemade foods that you barely get from normal restaurants. 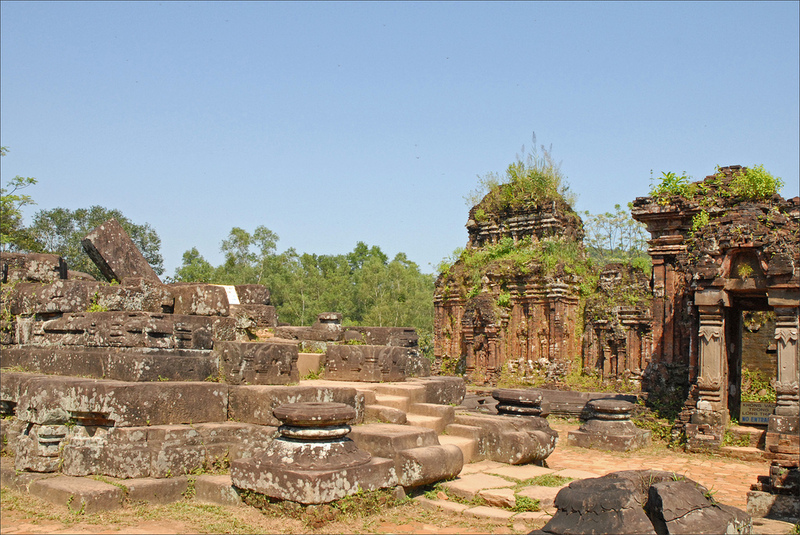 After getting full from the meals, we’ll walk to the ancient town in the most charming time- night time. You can join some traditional folk games such as Hoian Bingo game/Bai Choi, or Pot Breaking game. Another interesting activity is being on a cruise along the river, where you can feel and see a different view of this city and also enjoy the beauty of the lanterns along the river. Make your own wish and release the lantern along the river, such a great night! Please note that 2$ of the Hoi An Walking Food Tour fee goes to our Charity Campaign “Great food for Great Cause“. We will use that fund for preparing food for old, homeless and sick people in that campaign monthly. Visit a local family and have dinner with them. 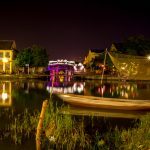 Hoi An Ancient Town Ticket (according to Hoi An Centre for Cultural Heritage Management and Preservation since 199, visitors are required to purchase an entrance ticket for Hoi An’s Old Quarter ). Since we will enter the ancient town during the tour, you will need to have this entrance ticket before joining the tour in case local authorities check. If you haven’t bought the entrance ticket yet, you should buy one when you join our tour then you can use this ticket for the following days. We highly recommend you get this ticket, which is valid until the end of your holiday here. 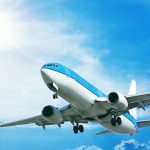 If you have any dietary or food problems, please let us know before we start the trip for a better preparation. You should have a light lunch or a snack only, due to the big amount of food during this tour. 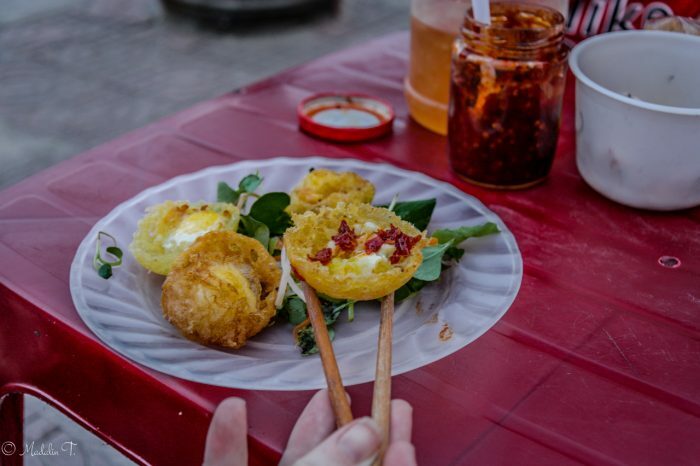 Banh Bao and Banh Vac ( rice flour, minced pork, ground prawn, mushroom, bean sprout, spring onion and friend shalot) known as the most famous dumping in Hoian, we will visit the dumpling producing a family in this town – the recipe keepers. Chao Vit ( duck, rice, mung bean, herbs and ginger dipping sauce) is one of the most favorite dishes by local people. Dipping the duck meat into the ginger sauce with some pickles star fruit and banana, and feel the different taste in your mouth: spicy from ginger, sweet and soft of duck meat, fresh from mints and herbs, tannin from pickles young banana fruit and sour from star fruit. What’s a sympathy ! A secret noodle of Hoian ( Rice noodle with the special method on making, pork with 5 spices powders, herbs, and vegetable). If you are a noodle lover, you should not skip this food. With a strange and nice texture of noodle – firm and chewy, freshness from herbs, veggie and bean sprout, tender and flavourful pork, it creates a wonderful combination. 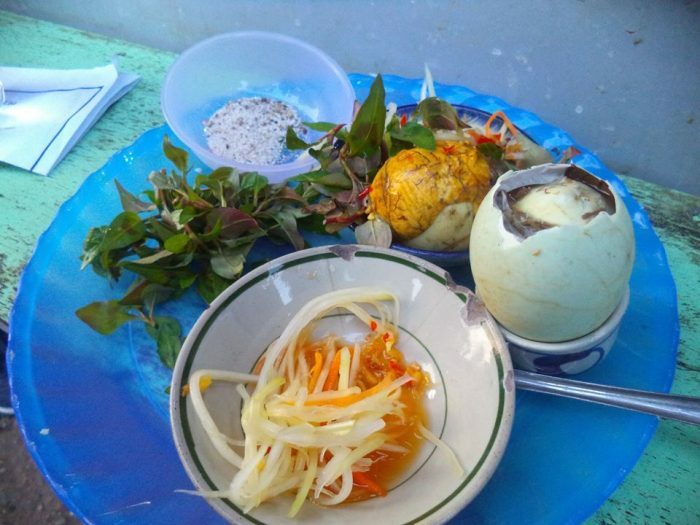 Trung Lon ( Embryo Duck Egg) is one of the most well-known Vietnamese Challenge Foods. In case you want to overcome your fear and try this dish, a spoon of ginger sauce and some laska leaves – Rau ram will make the taste better ! And the feeling, when you have done this challenge, is so great, isn’t it ? Ca Phe it is a big pity if you visit the 2nd largest coffee producer in the world and did not try the coffee here. A cup of ca phe den ( black coffee) or ca the sua ( coffee with condensed milk), a small table set and a nice view of the streets to do people watching, that a nice experience ! 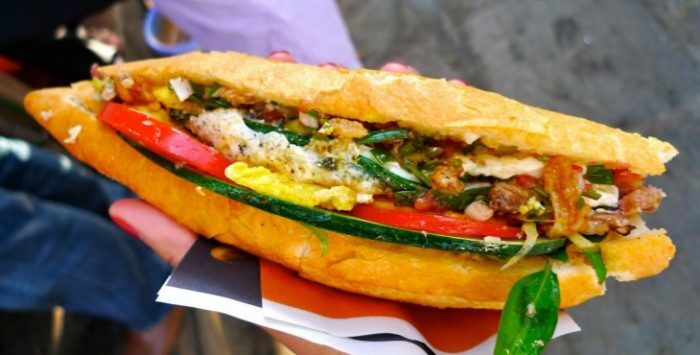 Banh My ( bread, different types of gravy, many kinds of meats, pickles papaya, herbs) Banh My Phuong is known as the most famous Vietnamese Baguette stall in Hoian after an American Chef – Anthony Bourdain been here for his show No Reservation with Anthony. A bite of Banh My Phuong is a beautiful sympathy of different taste: crisp of the bread, thick and delicious from the gravies, especial the pate, the tender taste of pork and so on. Like my favorite sentence : “ Money does not bring you happiness, but money can buy you tasty food, which is similar ! 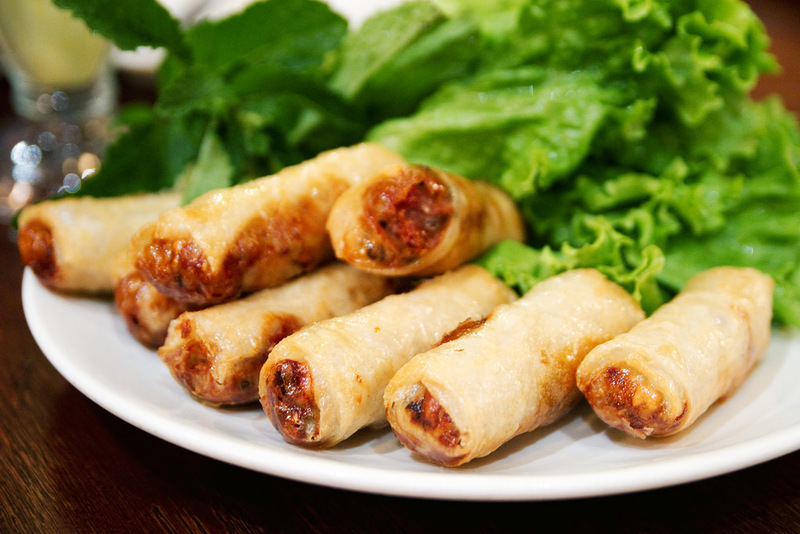 “ In this occasion, I have a wonderful happiness from Banh My Phuong for an incredible price – less than 1.30 USD. Banh Khot is an ideal snack for local people here. It is made by rice flour, turmeric powder, coconut cream and spring onion. It also goes with lovely quail egg topping and nice savory fish sauce. Ram Cuon ( Mushroom, minced pork, rice noodle and secret ingredients J) is a nice homemade dish that is a pride of local people here. 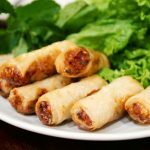 They make their spring roll very crispy and less oily. Che Bap is a special desert done by local people here. It is a nice dish with mince corn, coconut milk, mung bean and rock sugar. Herbals are washed and steeped in the wine. There are many types of mixed wine with herbals which are often made in two ways: mix with each type of wine, or mix with many types according to the traditional remedy. We did the evening walking food tour and while you’ll no doubt try all the food yourself while you’re here, doing it on a food tour adds another perspective to it all. Our guide was great, she took us to all the usual spots, added a few extras and waited patiently while we shopped a little along the way – she also helped with some bargaining 😉 We learned a lot about the city, it’s people and culture and enjoyed the night in good company! 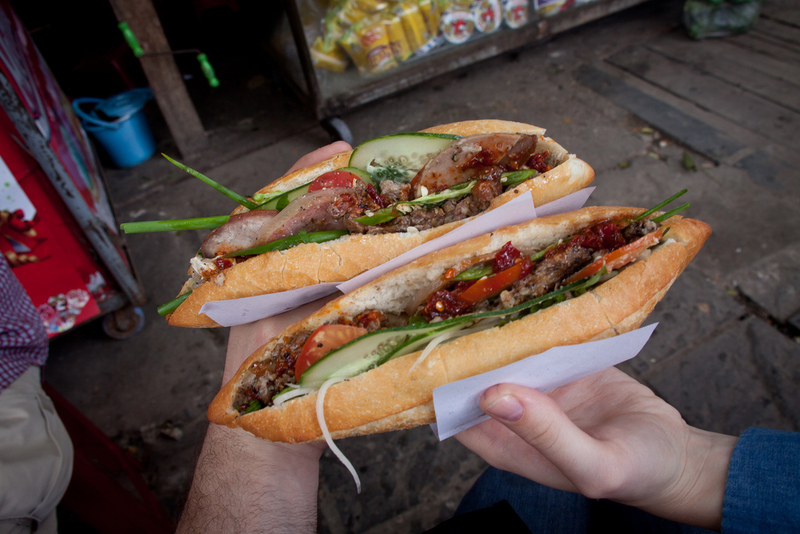 We were big fans of the Banh Mi (bread with delicious Vietnamese style filling) and the traditional Cao Lau. Also enjoyed going to a local family and eating their homemade food. Walking around the romantic old town with the beautiful lanterns and colorful houses made the night very special. We then finished it off with a drink on one of the boats with live music. Great night! Not only the best tour we’ve been on in Vietnam but possibly the best tour we’ve done ever. 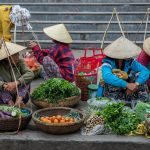 We booked this on a whim after enjoying a food tour in Hanoi, but this exceeded that tour in every single way – and then some! Katie, our guide, was brilliant. 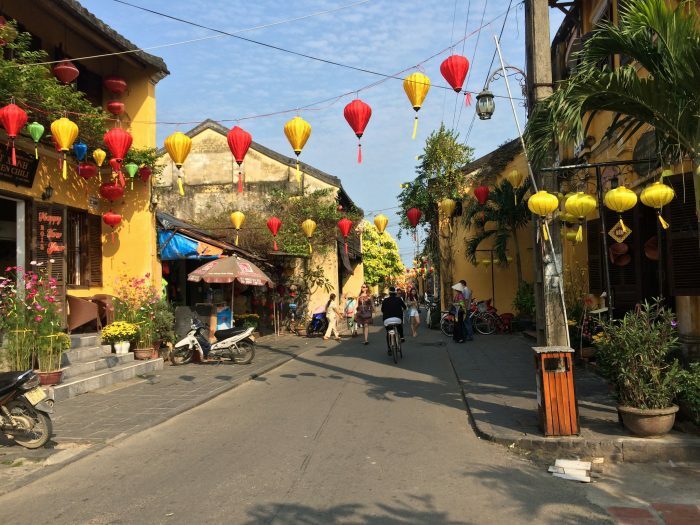 She took us to Hoi An, all the back streets and hidden bits we’d have never found in a million years. 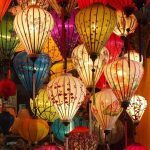 We ate great food, floated lanterns in the river, played games in the street, visited a market and had dinner with a family in a traditional Vietnamese house. It felt like meeting up with a friend who wanted to show you her hometown. She was so knowledgeable, so enthusiastic for food and her culture that we had the best time. Her knowledge about everything we ate and everywhere we went was second to none – we absolutely loved her! It was also our honeymoon, so we were surprised with a honeymoon cake at the traditional Vietnamese house, which was such a nice and unexpected touch. And the opportunity to eat with a local in their own home felt like a real privilege. Food wise, everything was excellent and really distinctive to the local area. Hard to pick a favorite, but having done this on our first day in Hoi An, I can’t wait to try them all again. I couldn’t recommend this tour enough. 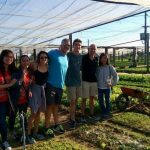 So much more than a food tour. 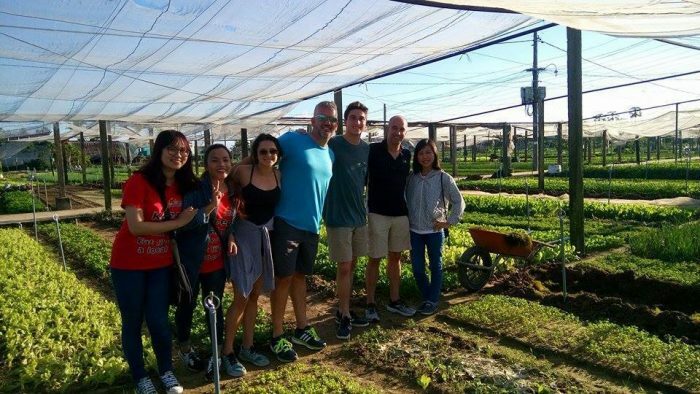 And for 35 USD for great and plentiful food (stay hungry all day to get the most from this tour), fabulous company and wonderful experiences, you couldn’t ask for more. We’ve been in Hoi An for only a few hours, and we don’t want to leave! Thanks again, Katie! Where is the bathroom? 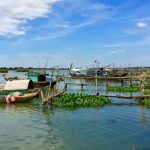 – Nhà vệ sinh ở đâu? No Fish – Không cá.